This industrial grade strapping cart comes with fork pockets that allow it to be transported with a pallet jack or lift truck. 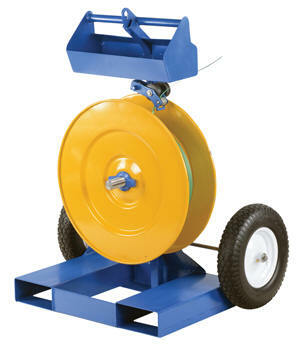 It can be used with steel or poly strapping with a maximum width of 3/4". 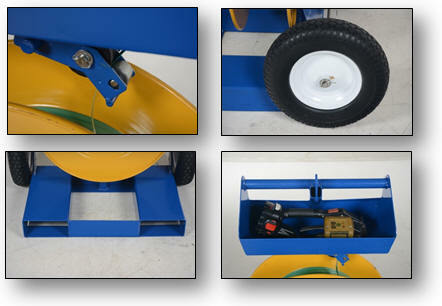 Includes storage tray for holding strapping tools and hardware, measuring 18" wide x 7" deep x 3 1/2 high. Features 2 big 16" diameter foam filled (flat-free) tires.